I love having four children for so many reasons. And I don’t keep it a secret. For starters, I genuinely look forward to big holidays one day when we’ll have so many people around our kitchen table that we have to bring in an extra table from our garage. (I’m smiling as I type that.) I also strangely like that our house always has plenty of noise and energy. It is never boring. And I love that no matter who comes in and out of my sons’ lives, they will always have built-in best friends in their brothers. I recognize that sounds contradictory when I have chosen to have two more than two. But when I consider all the physical, mental and emotional parts of parenting, my heart tells me two is the most practical number for someone who is wanting children, but maybe doesn’t want to feel like the parenting intensity level is on high at all times. And here’s why I recommend having two kids. Two allows for one-one-one attention. The little years don’t last forever. When you have more than two children, it is likely you end up staying a longer duration in the toddler years (Read: changing dirty diapers, cleaning out rotten milk sippy cups and dealing with threenager’s attitudes . . . ) and while those phases can be cute, they can also seem slightly more exhausting if you stay in them a decade. (Although I’m sad to be ending those years in my house.) With two children, those young years come and go more quickly. And can allow you to move into the less physically draining and into the more mentally draining (teenager) years more quickly. There is something about walking out the door knowing you don’t need a baby bag, change of clothes, or a snack that feels freeing. Life is expensive especially if you’re looking at daycare costs! And if both parents are working, they can end up spending a college savings worth of finances on daycare fees by the time your children start grade school, which can sometimes make it seem more reasonable for one person to quit their job while littles are at home. But what if both spouses like their job? Well with two children, it seems more reasonable to make those costs work for a shorter period of time. 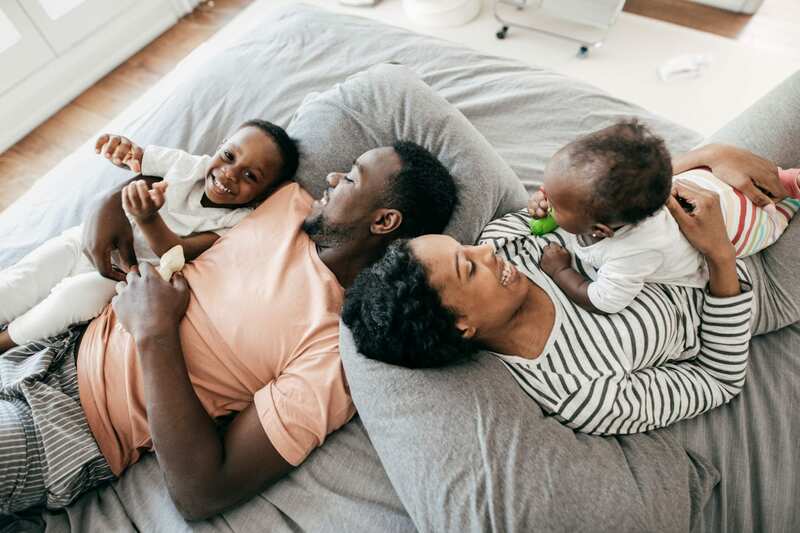 The management of extracurricular fees, camps, saving for college and all things that come with child-rearing seems a little easier to swallow when it stays within the bounds of planning for two children versus three or four. When our third son joined the year-round swim team, we got a congratulatory letter saying we were funding half the swim team. (I kid. I kid.) But our bank account looked like it. After I had three children, I always told my friends that staying at home with them no longer had periods of feeling like I had nothing to do. It kept be busy and I was hitting all of my steps each day. And after I had four children, I told my friends that I needed to hire a nanny just to help me keep up with their after school activities even though my sole job after school was to be the taxi driver. Because in this supercharged world of insane practice schedules for everything from piano to football, it is hard to have much of a life once children begin getting involved in activities. With two children, I feel the ability to keep a proper balance between two schedules is still realistic. Because after three, you might as well install a mini-fridge in your vehicle. There is a probability that both can be in a good mood at the same time. They have a sibling to play with and no one gets left out. While some people desire just one child, most parents seem to like the idea of their child having a sibling. Having two children allows for just that. Your first child receives a sibling and playmate and there is no competition with what sibling to play with. (Three children can leave someone left out.) Two makes your house feel full without feeling like it’s going to bust at the seams. And if you wanted to only buy a two-bedroom house, two kids can feasibly share a bedroom for longer than they want to admit. My sister and I (just the two of us in our family) did until we were in third grade. And we survived! So what is your idea of the most practical number? Do you agree with these ideas or do you have different opinions? I think it’s important to end by saying, while two is my practical advice number for the average person on the planet, it was not the favorite number for my house. Two never felt like quite enough. Neither did three. Apparently, I like things that make me work hard!